The secret is out and Élan is a hit! 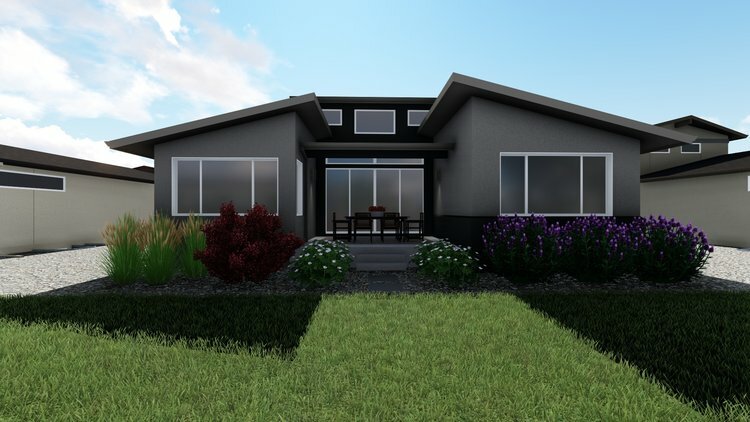 It's no surprise: these Mid-Century Modern-inspired homes are a stunningly fresh addition to the Cordera landscape. We brought our best architecture, design and building minds together to craft each new floor plan. The result is inspired, unique and truly livable. The Westport was a fast fan favorite, so much so that it inspired us to create the Lovell, Élan's only two-story home. 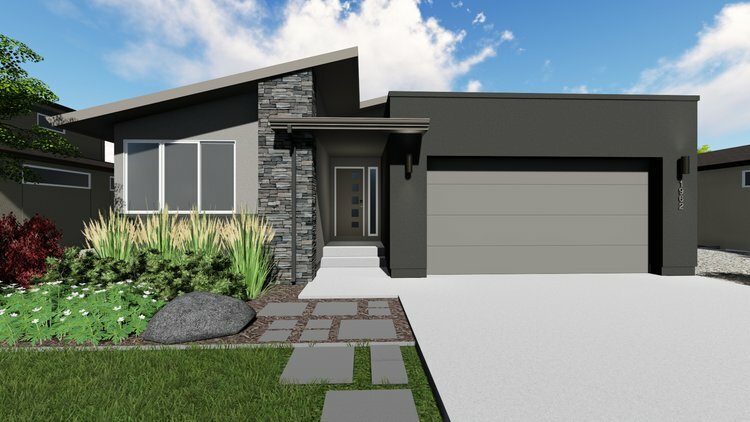 Both homes offer effortless main-level living; the Lovell adds on a second-story bonus room, which can be converted to an optional guest suite, and balcony, which has the potential for westward views (homesite dependent). We chatted with Bernie Costello of BCDC, the architect behind Élan, to learn more about what makes the Westport (and therefore, the Lovell) so special. WHAT DO YOU LOVE ABOUT THE LAYOUT OF THIS HOME? "The house revolves around a central great room which expands to the exterior where a private outdoor room is embraced by the massing of the living, dining and master bedroom with an open view side. The kitchen, dining and study are open to the great room with a private master retreat and a designated second bedroom at split ends of the bedroom wing. It was the distillation of changing buyer preferences and a balance of living areas and support areas such as laundry rooms, pantries, garage space, etc. The expanded mudroom area as well as the design and relationship of the kitchen and pantry are new features that I believe will resonate." can you pinpoint a few OF YOUR favorite ARCHITECTURAL features? "The exterior massing and elevation details were inspired by mid century modern architecture. The linear roof which stretches the width of the home ties the entry and garage together while creating a dialog with the primary low pitch gable roof. Simple design features and an integrated mix of materials completes the [Mid Century Modern-] inspired yet contemporary palette, bringing texture and scale to the architecture." HOW DOES THE EXTERIOR ARCHITECTURE OF THIS HOME INFLUENCE THE INTERIOR SPACE? "Fenestration is focused towards the rear view / garden corridors; high and dry linear transom windows maintain privacy but bring light to the rooms located at each side of the home. The most innovative feature is the use of the clerestory volume which adds a distinctive rise in the ceiling and volume of the great room while bringing light in from above; maintaining privacy but allowing the residents to trace the day and the seasons through this filtered daylighting element. "